Yoneoka is having a sigh-fest and Etsuko is fed up listening to it so she asks him what’s wrong. Yoneoka mumbles that he’s proofreading the latest mystery novel by a certain Kitano-sensei where the mystery behind a crime is always revealed with the help of trains and timetable. However, Kitano-sensei is still using the old timetable of Central Japan Railway and not the new one. Etsuko suggests to immediately notify him, but Yoneoka argues that the tricks in the novel would also have to be changed to coincide with the new timetable. Etsuko suggests to have the novel in a different setting before the timetable was renewed, but if Yoneoka suggests that then more parts of the novel have to be changed as well. Unlike Etsuko, Yoneoka is not too keen to make a risky proofreading. Etsuko points out that while it is risky, if he points it out, then some solution will probably be made and that Yoneoka can’t back down now since he has already started it. Yoneoka tells her that he’s not her when Kaizuka enters the office to complain on how Etsuko has the gall the suggest that the author should changed the title of her work. Etsuko reasons that the title doesn’t match the story at all, seriously? Etsuko is really more suited to be an editor. At Lassy’s office, Orihara begins his work as the magazine’s exclusive male model and he complains (to Morio) that he thought that they will finish work early. Morio lectures him for that amateur-ish remark and Orihara says that he is an amateur, but Morio is quick to tell him that he’s already a professional and he should start acting like one. Well, the professional model is having a celebration at Taisho’s oden place lead by Etsuko and the regular ossans. The ossans congratulates Orihara and one chimes to say that being a model will surely make him popular with girls. Being popular with girls makes Orihara feel awkward so he deviates the conversation by asking Taisho if he has matsutake mushrooms while Etsuko recalls Orihara’s confession, in which Etsuko is too shock to answer, so Orihara just pretend he never said anything and goes home separately. 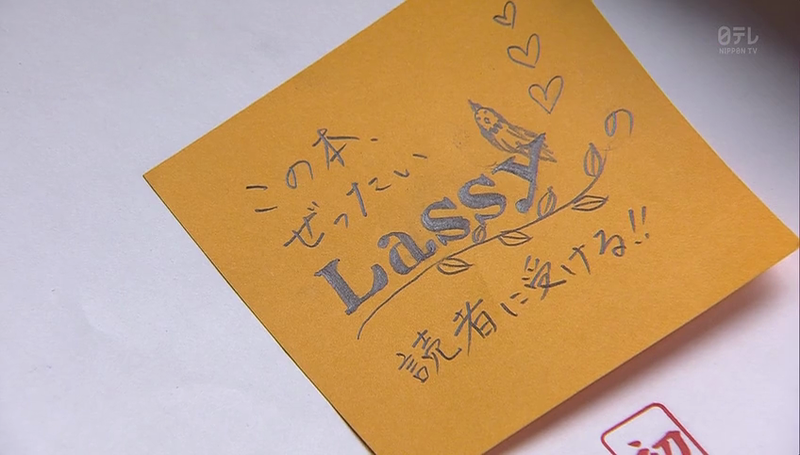 At present, Etsuko tells him that in being chosen as Lassy’s exclusive model, not only will he will be able to repay Morio, but fulfilling one dream will branc-out to fulfill more dreams. Etsuko says that it’ll be awesome if Orihara will get to walk for Milan Fashion Week, but Orihara replies that going to Milan seems like a pain. The next day, Hongo-sensei visits the proofreading department to give Etsuko a task and that is to proofread his latest essay for Monthly K-bon. 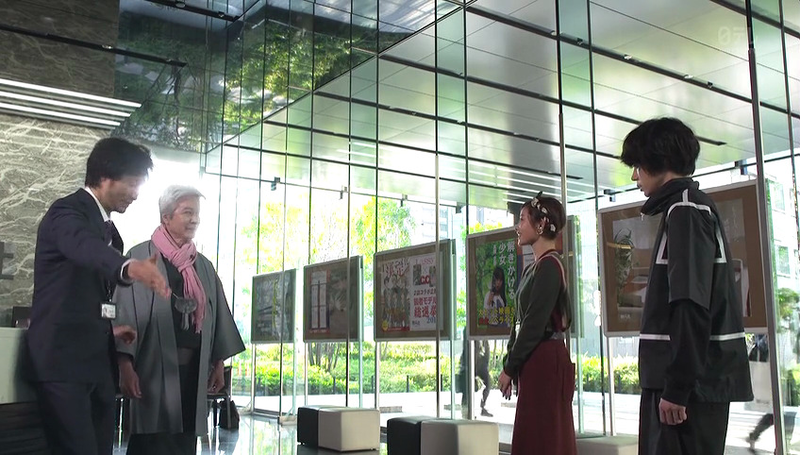 Etsuko accepts the job and later on, sends Hongo-sensei off together with Kaizuka. 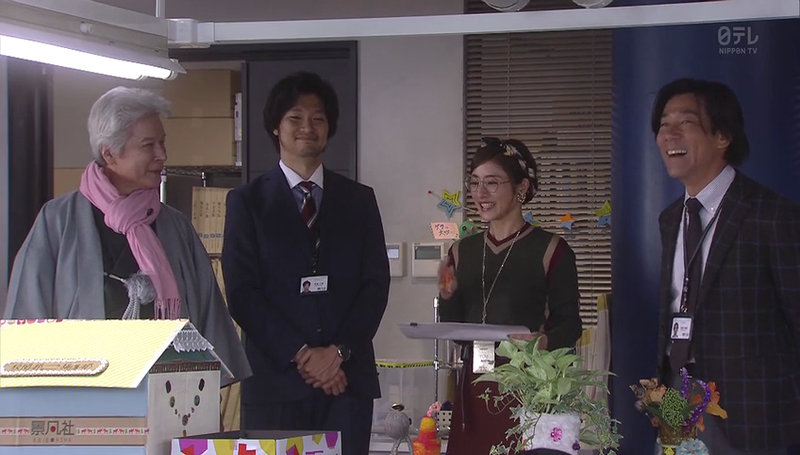 Hongo-sensei is having some chit-chat with the receptionists when Orihara arrives, Kaizuka looks flustered and tries to hide Hongo-sensei’s presence, but Etsuko is just ecstatic to introduce Orihara to Hongo-sensei. Etsuko is oblivious to the change in Orihara’s face as she sing praises to Orihara’s/Korenaga’s works while Hongo-sensei remains polite and civil. Orihara looks like he just want to disappear, and meeting Hongo-sensei sure made some impact on Orihara’s behavior that during a meeting in Lassy, he requested that instead of using kanji for his name, he’d rather be known as simply “YUKITO” written in romaji. The Ed-chief agrees, thinking that Orihara wants to be known as Korenaga the writer, and YUKITO as the model. At work, Etsuko claps her hands from admiration of Hongo-sensei’s essay titled “The Worst Day of my Life” that’s about spending a day with his long-lost son. The title is actually in opposite since it was the best day of his life. Anyway, one thing Etsuko notice is that Hongo-sensei used the word “sumire” to refer to the thing his son used to scoop ramen’s soup. Etsuko can only think of sumire as a flower and Fujiwa counters that Hongo-sensei might be referring to “renge”, a Chinese style spoon. Etsuko thinks that its weird that someone like Hongo-sensei would mistake sumire for renge. Frankly, why is Etsuko so surprise by Hongo-sensei’s word usage? Haven’t Etsuko learned anything from Tappi to Tatta Bridge incident? Well, Etsuko being Etsuko, she decides to do fact check outside again. So Etsuko follows the flow of the essay and she goes to a manga artist’s house, theater, and finally to the ramen shop. She eats a ramen, notice that there’s nothing resembling sumire in the ramen bowl, and even asks the shop’s attendant if the renge is ever referred as sumire in that shop to which the attendant replied no. 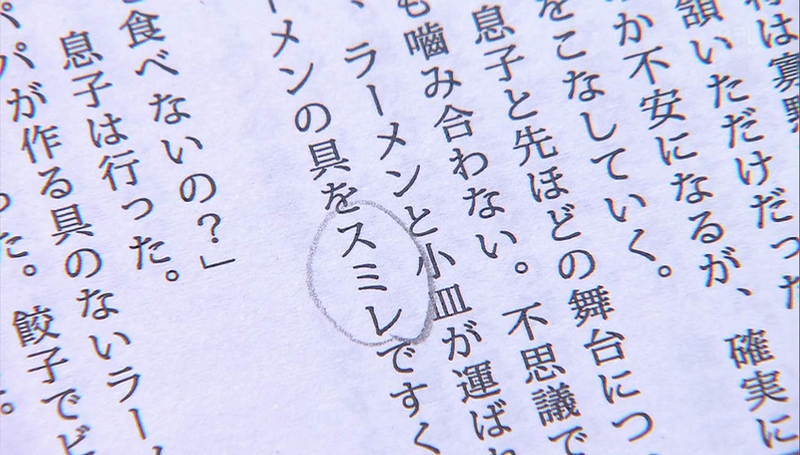 Etsuko is confused as to what she said that made Orihara annoyed and while she reads Hongo-sensei’s essay (which she brought home when I thought that she’s done with revisions), she notices that some descriptions of Hongo-sensei about his son matches those in Orihara’s Lassy profile. 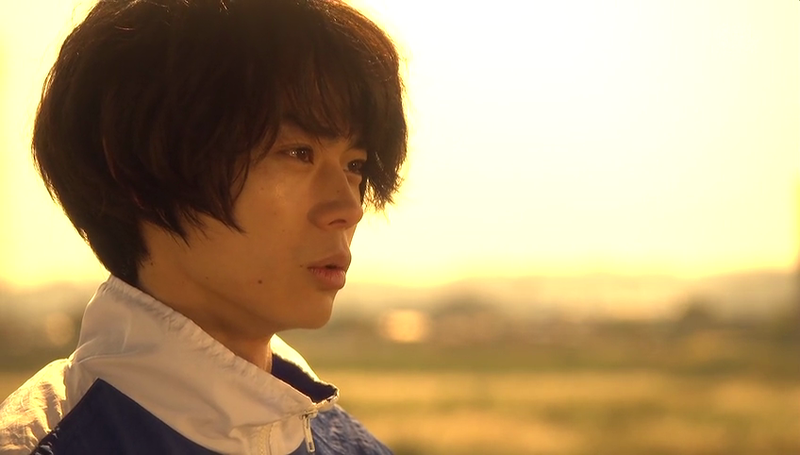 First, Hongo-sensei last saw his son when he was three years old, making him 23 now, which is the same age as Orihara. Second, Hongo-sensei’s describes that his son plays shogi, which is the same as Orihara. Wait, a 3 yrs old playing Shogi? For real? Anyway, Etsuko reads on and sees more similarities. Speaking of Orihara, he goes home at Morio’s place to see her being uber busy with work, so Orihara decides to make her some coffee as an apology. While he prepares the coffee, Morio asks when he would be moving out since he already got his model fee. For some reason, Orihara seems not ready to move out but he did agree that he will look for a new house. 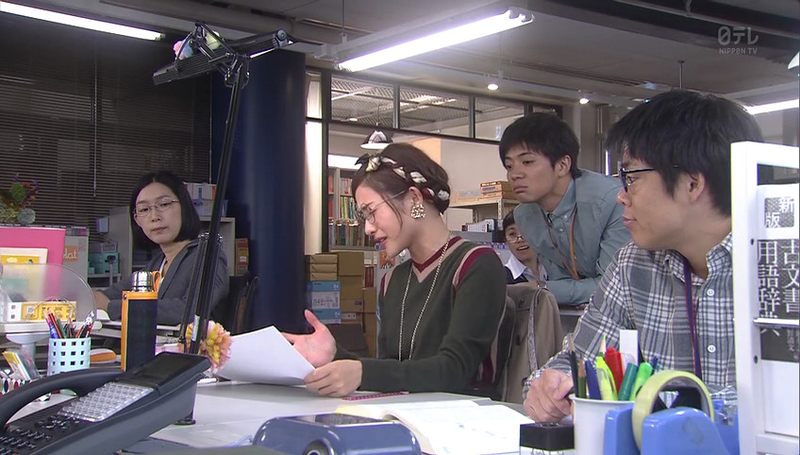 Back at proofreading department, Yoneoka is still having issues with Kitano-sensei’s work when Etsuko arrives dragging Kaizuka for a secret talk. 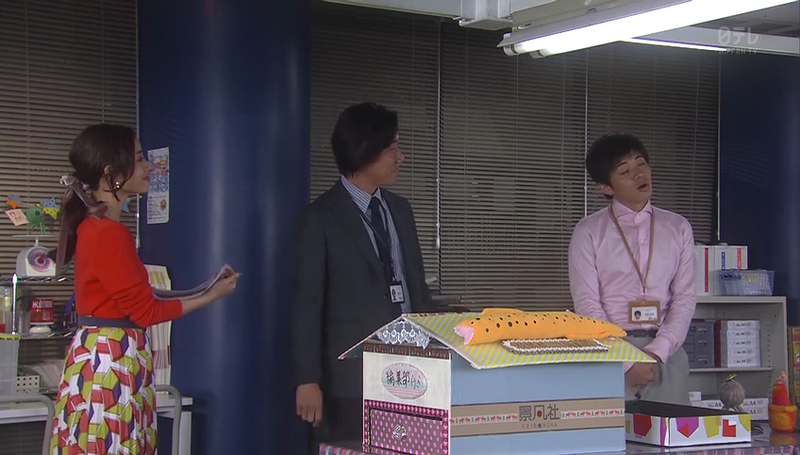 She asks permission to use their investigation room, Fujiwa agrees but only gave them 5 minutes to talk. Inside, Etsuko asks if Hongo-sensei is Orihara’s father, and while Kaizuka is surprise, he said yes. However, Kaizuka adds that Hongo-sensei is a taboo topic around Orihara, that’s one of the reasons he wanted to use a pen name as a writer. He tells Etsuko that she should never talk about Hongo-sensei because there’s a dark past between the father and son. Too late for Etsuko since she has opened her big mouth around Orihara about his father. That’s why when Orihara surprisingly calls her for a date, she agrees, and promises herself that she will not talk about Hongo-sensei to Orihara. 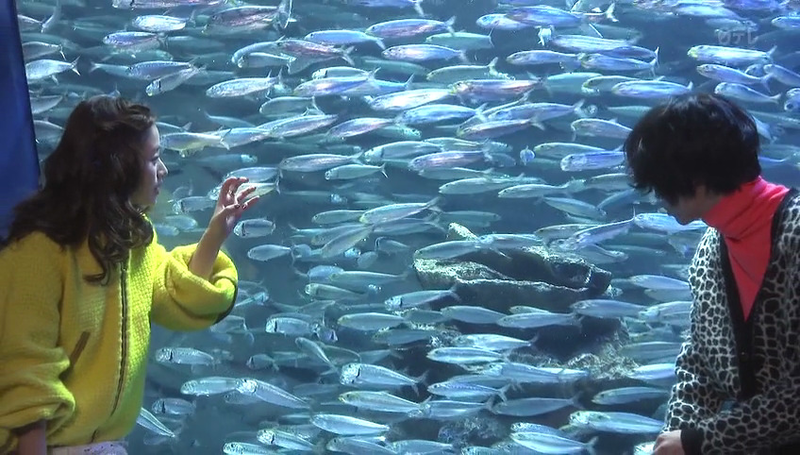 Well, knowing how tactless Etsuko is, it proves to be hard on her that when they went to an aquarium for date, the mere sight of a turtle with his/her parent has her running to opposite direction just to keep her mouth shut. So she really gave herself a pat on the back when they reach home and she wasn’t able to say anything about Hongo-sensei. A different kind of date is going on and that’s between Kaizuka and Morio and Yoneoka and Masamune. In proofreading department, Yoneoka is doing his hardest to find a way to make Kitano-sensei’s novel fit the recent railway timetable changes. While in Lassy’s office, Kaizuka asks Morio if she could recommend an upcoming novel to Lassy’s ed-chief since according to Etsuko, the readers of Lassy would surely love the novel. Morio agrees that she’ll try to introduce the novel to her ed-chief after she reads it. 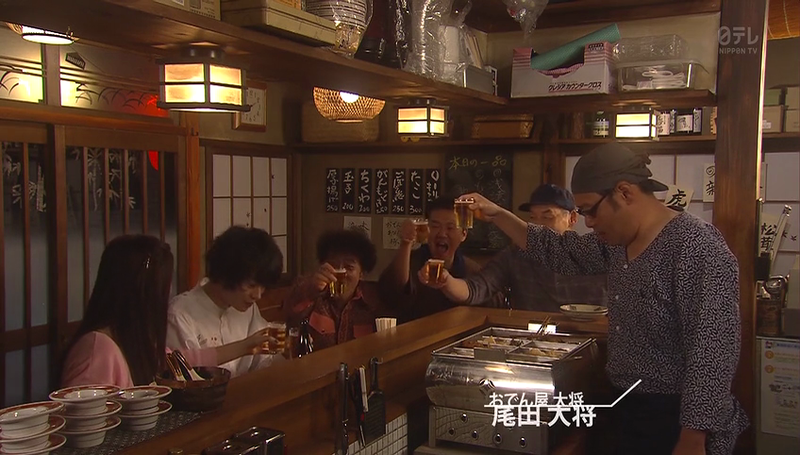 If Kaizuka is successful in convincing Morio, add the fact that he gets to drink beer with her, it’s the opposite with Yoneoka. He leaves a post-it note for Kitano-sensei detailing on why his novel just won’t cut it. 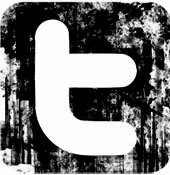 The next day, he receives a news that Kitano-sensei agrees to re-write his novel just to fit into recent timetable changes. Yoneoka has Etsuko to thank for because he won’t be doing such a high-risk proofreading if it wasn’t for Etsuko who said that he shouldn’t be afraid to take risk. Meanwhile, Etsuko continues to labor on Hongo-sensei’s novel and reads how he and his son went to a sports store looking for a gloves for left-handed since his son is left-handed. By memory, Etsuko knows that Orihara is right-handed so something seems off. Well, taking her own advice to heart, Etsuko decides to take risk and invites Orihara to play catch, haha. So the two play catch and Etsuko is pretty bad at it, she says that she has something to ask as a proofreader and asks if Orihara is left-handed when he was a kid. 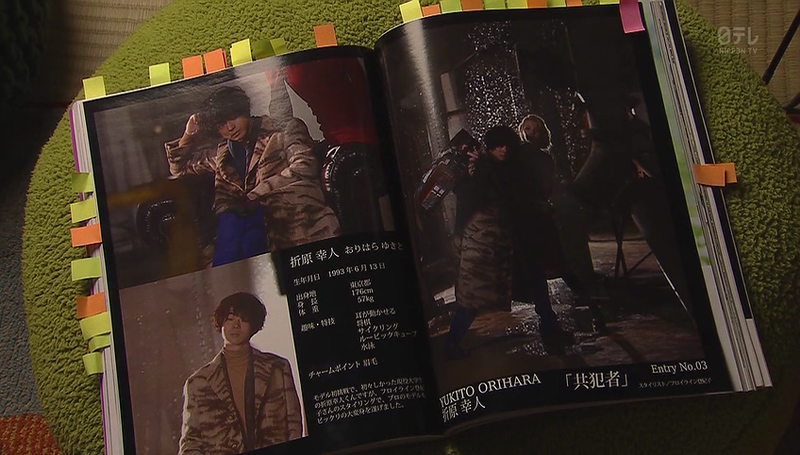 If his father, Hongo-sensei, bought him a gloves for left-handed because his son, Orihara, is left-handed. 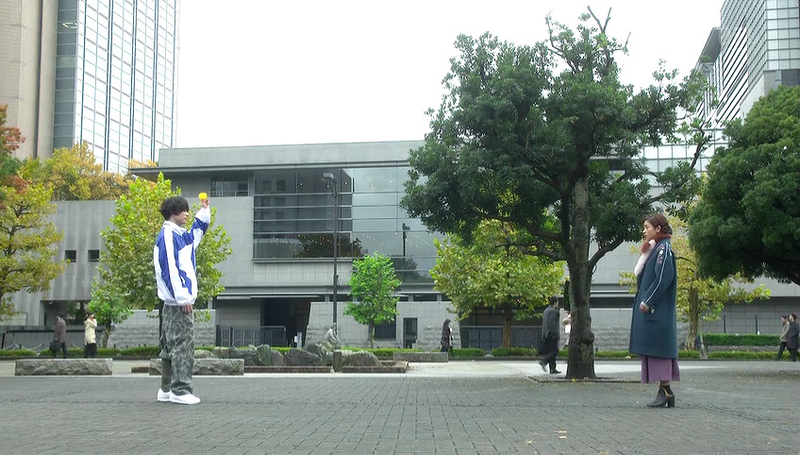 Well, Orihara is silent for a while and answers Etsuko by throwing the ball using his left hand. He tells Etsuko that he is left-handed when he was a kid but it was hard since most things were made for the right-handed so he practiced to become right-handed. He also clarifies that he and his dad weren’t able to buy those gloves since there’s nothing available for the left-handed. Since Etsuko have started the Hongo-sensei talk, she tells Orihara that his father has been waiting for him at that Tappi/Tatta bridge and laments about the dark past between him and his father. This surprises Orihara because as far as he’s concern, there’s no dark past between them, okay, so Kaizuka duped Etsuko. 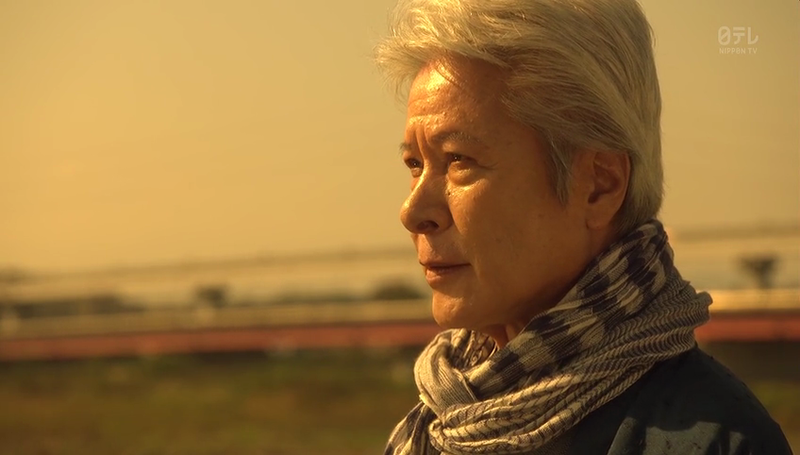 Etsuko and Orihara goes to see Hongo-sensei, in that walkway overlooking Tappi/Tatta bridge, where the father and son had a not-so tearful reunion. Apparently, the reason why Orihara decided to write using a pen name is because he’s ashamed of himself and his writings and that it might tarnish the good name of his father. Hongo-sensei says that as a father, there’s nothing more he can ask than just to see his son all grown-up, awww. He adds that he has read all of Korenaga’s novels and tells him that when he was starting, he wrote pure literature until his editor suggested a different genre and it became his writing style, which is mystery erotica. Orihara asks if it wasn’t hard to make that transition and his dad answers that it wasn’t and he was happy. While it was the place that he didn’t aim for, he found happiness in there. Anyway, enough writer talk, Hongo-sensei says that as a father, he approves of him dating Etsuko, hooray! Orihara didn’t agree or deny but he has this pain/embarrassed look on his face while Etsuko said yes when Hongo-sensei tells her to take care of his son. Aside from Etsuko, Kaizuka is also happy since the novel got an okay from Lassy’s ed-chief and when Kaizuka suggests a lunch out as a way of thanking Morio, she agrees. Speaking of Morio, Orihara is all set to leave, he thanks Morio for everything, and tells her that while living with her, he realizes that he was not the only one struggling. 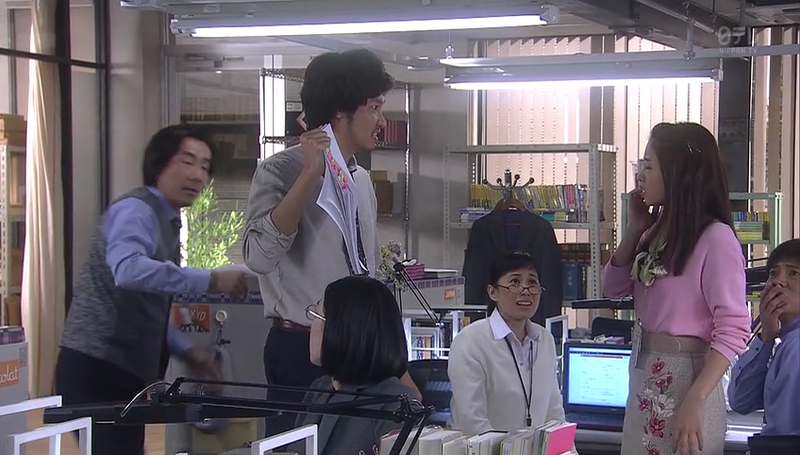 At work, Takehara congratulates Etsuko for a well-done proofreading of Hongo-sensei’s essay and Yoneoka chimes how jealous he is that Etsuko got a designated writer so Takehara tells him that Kitano-sensei wanted Yoneoka to proofread his work after he’s done, which makes Yoneoka really happy. What another boring episode and we have 3 more episodes to go before the finale and these past 2 episodes were a snooze-fest. The main reason I watched this drama is because the spark I saw between Etsuko and Orihara in the first and second episode but now that the spark is gone, this is becoming just another workplace drama. Oh, Etsuko as a proofreader is becoming tiring as well, she was interesting at first, but there’s nothing new. Anyway, this Orihara and Hongo-sensei arc is quite surprising and odd. This is not the first time that Hongo-sensei’s name came up in front of Orihara, it was already mentioned in the 2nd episode during Etsuko and Orihara’s first actual conversation and I didn’t see any reaction from Orihara to warrant that the two have paternal relationship. Also, how can Orihara recall his memories when he was only 3 years old? I can’t even recall anything vivid around that age so I can only assume that Orihara has a gifted memory. Well, I’m happy that Kaizuka is making strides when it comes to Morio, who is obviously trying to move-on from her feelings for Orihara. Though Morio looks awkward when she smiles, it comes off like she’s trying not to cringe. All in all, another pretty lackluster episode, I don’t know what else to look forward to, except maybe seeing Etsuko in Lassy and properly dating Orihara. Posted on December 16, 2016 December 15, 2016 by mikuchinPosted in Fall 2016, Recaps | ReviewTagged Ishihara Satomi, Jimi ni Sugoi, Munetaka Aoki, Suda Masaki, Tsubasa Honda. Thanks Maya, but for that I also need the .srt/.txt file to do this.